If you want to study at university or prepare to work in a variety of careers then our A Level provision can help your achieve your goals. At South Devon College, we enjoy excellent levels of success, with an overall pass rate of 99%. To study your A Levels with us, you will require 6 ‘good’ GCSE passes (A*-C or grades 9-5) which must include English and maths. You may also require a B/6 grade in a specific subject. 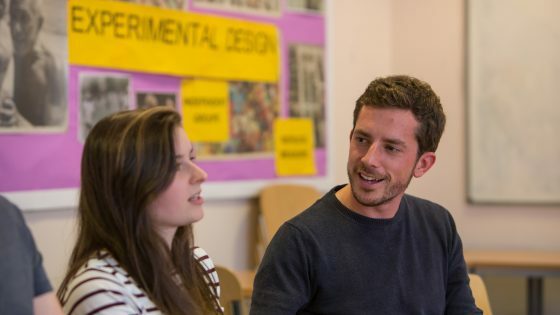 We are committed to offering an exceptional support and guidance service, providing trips to universities as well as advising on UCAS applications and progression opportunities, whether that’s focused on further academic study or employment. Our students progress across the full range of subjects, going on to study degrees in the arts, sciences, humanities and various other disciplines, at universities throughout the country. We have a large number of students who are accepted to Russell Group institutions, and regularly see learners go on to study at Oxbridge. By choosing one or more of these subjects, you are keeping open as many options as possible.